As you may have noticed, things have been pretty quiet here at the Illinois Issues blog. 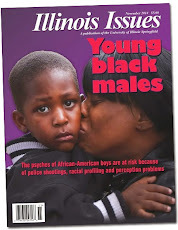 The cause for my lapse in posting is that the magazine is merging with WUIS, the public radio station also based at the University of Illinois Springfield. I have stepped into the role of interim executive editor. Between editorial duties and working on the transition, I have not found a lot of time for blogging. If you read the magazine, you might have caught my column explaining things. If not, here it is. Merging with WUIS expands our capacity (both on the editorial and business side of things) and creates a team of smart, informed and hard-working professionals who can focus in on public policy reporting. Statehouse journalist Brian Mackey will be a regular contributor to the magazine and will take over the State of the State column. You will see stories from WUIS Statehouse Bureau Chief Amanda Vinicky and from WUIS’ Education Desk and Harvest Desk, which focuses on food, fuel and the environment. If you listen to NPR in Illinois, you will hear companion pieces to the print stories we bring to you each month. Our staff will also have more ability to do long-range planning, take on special projects, connect with you on social media and host engagement events, such as public forums. Illinois Issues will be able to use resources already available to WUIS to update our web presence—a move that is long overdue. That means we may find a new home online, and the format of what we do may change. Because of that, I am asking for your help. Please reach out and let us know why you read our blog. When do you read it? How do you get here? What do you like? What could you live without? What do you find the most useful? What would you like to see that we are not currently doing? If you have thoughts to share about the magazine or how you might want to get our long form content online, we would be happy to hear them, too. We want to make sure that as we rework some things, we are serving the needs of you, our readers. You can reach me at jdunn3@uis.edu. Or you can leave a comment on this post. I apologize for the lack of posts here. I will try to keep things going with some shorter updates. You can also get your Illinois Issues fix with our July/August environmental issue, which includes a story on the dwindling numbers of monarch butterflies. Our back-to-school September issue will focus on education, and we are planning some thought-provoking election pieces for the October issue. Thank you for reading and please hang in there as we work our way through some changes. If we move the blog, I will keep you in the loop. Whatever tweaks we might make, we are dedicated to maintaining our core mission of providing in-depth impartial reporting on the topics that matter to you. A new report on statehouse press corps found that as the number of full-time reporters shrinks, new media outlets and political communication staffs seek to fill the gaps in coverage. The Pew Research Journalism Project surveyed statehouse media outlets, political communications staff and experts on government in all 50 states. (Disclosure: I participated as a respondent in the survey.) The group found that nearly 1,600 reporters are based in state capitol buildings covering state governments across the country. The majority of those journalists, 851, are assigned to cover state government part time, while 741 are on the state government beat—covering legislatures, governors and state agencies— full time. State populations are generally predictive of the size of their statehouse press corps. Pew found that of the 10 most populous states only two, Georgia and North Carolina, were not among the 10 largest press corps. At the time of the survey, Illinois had 22 full-time statehouse reporters. Texas had the most at 53 and South Dakota had the fewest with two. The study cites statistics from the American Journalism Review, which tallied up statehouse newspaper reporters five times between 1998 and 2009. Each time the number of reporters dropped, and the largest decrease came between 2003 and 2009, when the overall number of newspaper reporters saw a large decline. Statehouse bureaus shrank at a slightly larger margin, 35 percent, than newsrooms, 30 percent. “It does suggest, if nothing else, that statehouse jobs are certainly no more immune to the cutbacks then anything else,” said Mark Jurkowitz, associate director of the Pew Research Center’s Journalism Project. For more on the cutbacks in Illinois, see Illinois Issues October 2008. The survey found that traditional news sources are turning to consolidation and collaboration. One-time rivals are now working together and sharing information. For example, the Miami Herald and the Tampa Bay Times now share a bureau in Tallahassee and coordinate their coverage of Florida state government. Students are also playing a big role in statehouse coverage. One of seven people reporting from a state capitol pressroom is a college student. This finding holds true in Illinois, with statehouse bureaus taking on Public Affairs Reporting interns during the spring legislative session since the programwas founded in the 1970s. Jurkowitz said that it is impossible to tell if interns are being used to make up for recent cuts in staff because there is no historical documentation on the number of statehouse interns nationwide. Pew found that one in six statehouse reporters work for “nontraditional” outlets, such as nonprofit organizations, niche publications and digital-only news sources. According to the study, the largest statehouse bureau in the country, which has 15 reporters, is operated by the Texas Tribune, a nonprofit primarily digital operation. Most of these outlets are relatively new, such as The Illinois News Network, which is based out of the conservative-leaning think tank the Illinois Policy Institute. But some are longstanding news sources, such as Rich Miller’s Capitol Fax. Pew found that many such organizations have an ideological bent or market paid subscription content to “insiders” seeking information on state governments because it relates to their occupation. Political communication staffs now provide information that more closely resembles news coverage. “The legislative offices themselves are getting much more into the business of directly communicating with the public and circumventing the media,” Jurkowitz said. In Illinois, the Senate Democrats and House Republicans are both good examples of this trend. A slideshow highlighting new laws created by Senate Democratic communication staff went viral earlier this year, receiving more than 1 million views. Both caucuses frequently capture video of their members and distribute it online, post information to websites that resemble news outlets and stay active on social media. Former journalists serve as high-level staffers for both caucuses. For more on they ways Illinois officials use social media, see Illinois Issues November 2013. Citizens can also access live-streaming video and audio of legislative session and most hearings on the Illinois General Assembly’s website. Jurkowitz called all this direct communication from officials a “mixed blessing” because it provides the public with more information, but it often comes with a hefty dose of political spin. “I do think there’s been a loss in general across the country, and that’s very concerning to me,” Patrick Marley, who covers the Wisconsin Statehouse for the Milwaukee Journal Sentinel, told Pew “We have scads of reporters in Washington covering every bit of news that Congress makes. State legislators have more effect on people’s daily lives. 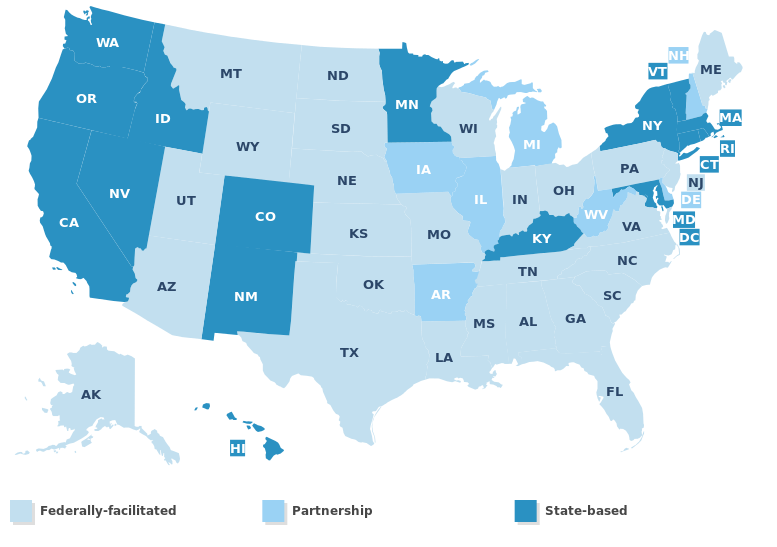 We need to have eyes on them, lots of eyes.” Jurkowitz said Pew’s research indicates that state governments may be doing more heavy policy lifting than they have in the past. He said a separate Pew study found that almost half of state governments enacted more laws in 2012 than Congress did in 2011 and 2012 combined.